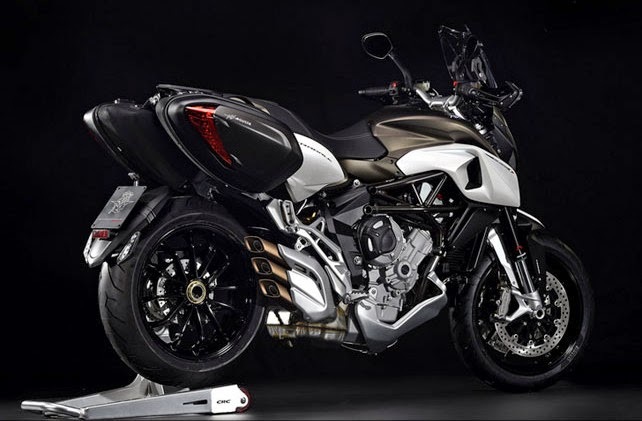 MV Agusta staged his novel Stradale, declination Rivale thought for fun and sport tourism. This maxi supermoto "GT-ized" elegantly integrates easily adjustable windscreen - tested and approved by MNC - and removable panniers. 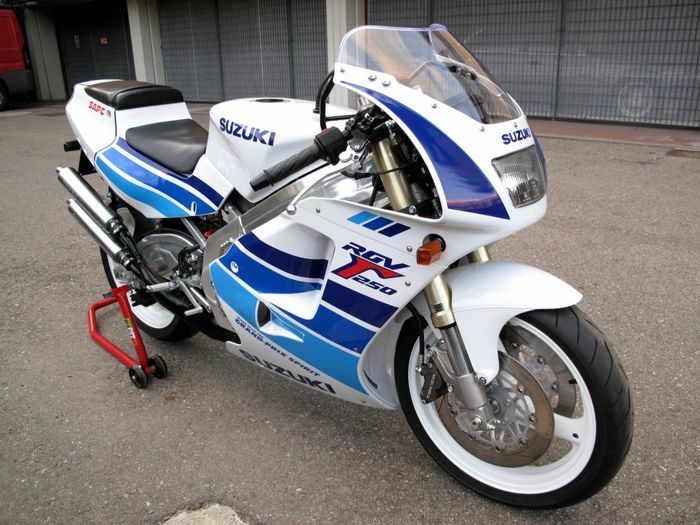 Its final price of € 13,990, as announced at the Italian brand EICMA. Rivale, but no rival in this segment! The engine and chassis from Stradale is the same as the Rivale, with a few exceptions: Tre Pistoni 800cc fate eg 115 bhp and 78.5 Nm of torque (instead of 125 hp and 84 Nm for the donor organ), the wheelbase grows 50 mm and the reservoir passes from 12.9 to 16 liters. As many changes in line with its philosophy more "traveler" ... all things considered! As Rivale, the Stradale ships with a variety of sophisticated electronic aids and (increasingly) developed, such as ABS and adjustable and disconnectable traction, several modes of conduct and a shifter for upshift clutchless or cut gas but also to descend the same way as in MotoGP! It still rare device was proudly STRENNA by its MV Agusta F4 in 2013 and set aside until its completion perfectible points - dotted glove during our MNC test - is perfectly controlled. Today is the case and we can only rejoice! Announced for 181 kg dry, the Stradale arrives in dealerships in colors red and silver, white and gray or bronze and white price "factory outlet" of € 13,890. Already a pretty price for a motorcycle ambiguous and limited positioning as shown moderate success of the very similar Ducati Hyperstrada yet sold nearly 1000 euros less expensive (€ 13,050).